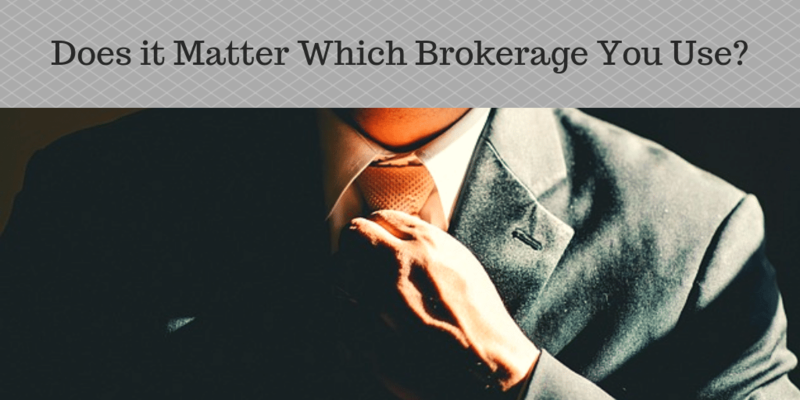 Does it Matter Which Brokerage You Use? We all are aware of the big-name national real estate brokerages such as RE/MAX, Prudential, Coldwell Banker and Keller Williams but does that really matter what brokerage you use when it comes time to buy or sell a house? The thing with those large industries and national companies is that they charge a lot of money for their real estate agents because they do the advertising for their agents. The brokers and agents underneath that major brokerage must pay either a desk fee or a company fee that goes directly to the national industry to pay for advertising and marketing materials. But does all of that really matter when it comes down to a buyer or seller? When a real estate agent is license they will need to hang their license with a brokerage. That brokerage takes on the responsibility of the agent and every time the agent is signing their names they are actually signing the brokerage’s name. The brokerage is responsible for carrying the insurance, the business license and managing the business of the agents. A real estate agent can also become their own broker but then they must carry their own insurance and can get agents underneath them. It really comes down to the individual real estate agent or broker. Many of these large companies require their agents to become a Realtor®, which means that they have to pay another fee to the National Association of Realtors and the subject to a strict code of ethics. However, an ethical real estate agent, in general, should naturally stand up to these codes and protect their client, understand their due diligence and their fiduciary duty to their client regardless of their title or their brokerage. This is why individual agents regardless of the brokerage they fall under are truly responsible for the care and management of their clients. When it comes time to choosing the right real estate agent for buying or selling a property in Wylie, Lucas, Frisco or anywhere in the North Dallas area, go with someone you trust, enjoy, has the experience and the knowledge of the area and can negotiate on your behalf. The real estate brokerage and all the titles behind it shouldn’t matter. It comes down to the trust and authenticity of the individual. If it’s a call if you’re interested in buying or selling any home, condominium or townhouse in our area, contact me anytime! Start your search here for free!